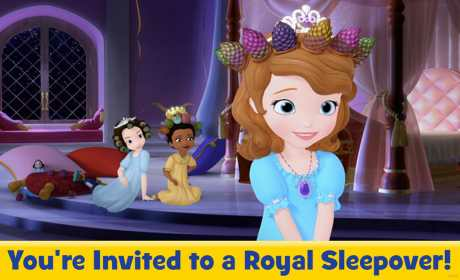 The Sofia The First Disney Junior Appisode featuring “The Big Sleepover” is filled with video, games and music as preschoolers play along with their favorite Disney Junior show. They will touch, tap, swipe, tilt, shake and talk their way through a fully immersive interactive TV episode that reinforces developmental values. Help Sofia and Baileywick prepare for the first ever royal sleepover, then join in the fun when the other princesses arrive! • Rock out at a royal dance party! 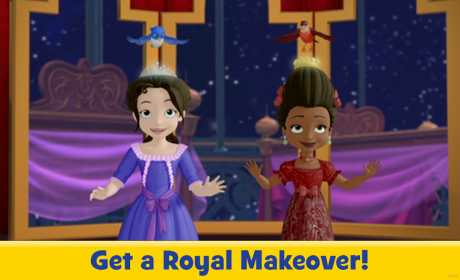 • Dress up and do the princesses’ make up! 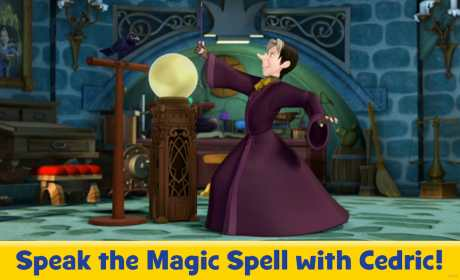 • Explore the castle in a magic elevator! • Over 20 interactive princess games and activities featuring your favorite Disney Junior Sofia The First characters: Sofia the First, Princess Amber, Prince James, Baileywick, Clover, Cedric, and Minimus.